Adrian Dunbar, the acclaimed Ulster actor, who is also starting to make his mark as a writer and director, is the next guest in 'Life Stories', the popular series of interviews with distinguished honorary graduates of the University. He will discuss his career in film, television and on stage with Professor Paul Moore, Head of the School of Creative Arts in the Great Hall at Magee on Thurs 12 May. Adrian Dunbar was born and raised in Enniskillen. At the age of 17 he was playing country music and working in a factory. At 18 he got involved with a local amateur drama group and joined a cabaret Elvis impersonator band. Then he auditioned for and was accepted into the Guildhall School of Music and Drama in London, where he completed his training. He now lives in London. On the big screen, he is probably best known for his roles in leading films such as 'My Left Foot', 'The Crying Game', 'The General‚ 'Richard the Third'‚and 'Hear My Song', which he co-wrote and for which he received a BAFTA nomination. Among his many television appearances there have been roles in the first episode of 'Cracker'‚ and the last two episodes of 'A Touch of Frost', as well as in numerous other well-known programmes including 'Inspector Morse'‚ 'Murder in Mind‚ 'Murphy's Law', and 'Ashes to Ashes'. Recently he starred in the TV drama 'Mo'‚ in the role of First Minister of Northern Ireland, David Trimble. His stage career is prolific and diverse, demonstrating a remarkable range. He has acted in the classics as well as the contemporary British and Irish repertoire. In recent years he has performed in Joyce's 'Exiles'‚ at the National Theatre and in the farce 'Boeing Boeing'‚ in the West End. He made his stage directing debut with a critically acclaimed production of Brian Friel's 'Philadelphia, Here I Come'. 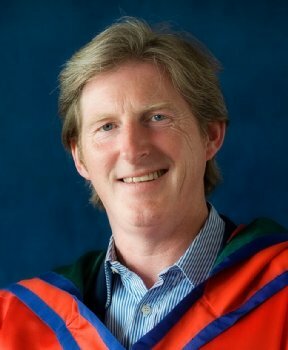 In June 2009 the University of Ulster awarded Adrian Dunbar the honorary degree of Doctor of Letters (DLitt) for services to acting.